I've collected a number of green cleaning recipes from readers and contributed my own, which you can see below. What follows is a collection of recipes you can use all over your home, as all purpose cleaners. The first of these recipes was contributed by Stephanie T. of West Palm Beach, FL. Fill a spray bottle 3/4 of the way up with hydrogen peroxide (purchased cheaply at any drug store or Walmart), and then 1/4 with warm water. Add 2 small squirts of any liquid dish soap (I use Bronner's Sal Suds). Please note that to make this recipe truly green you should use an all natural soap. Shake gently and clean away. If you get any streaks on glass, add more water, you probably added too much soap since some soaps are more concentrated then others. I use this for just about everything from my mirrors, glass tables, counters and floors. 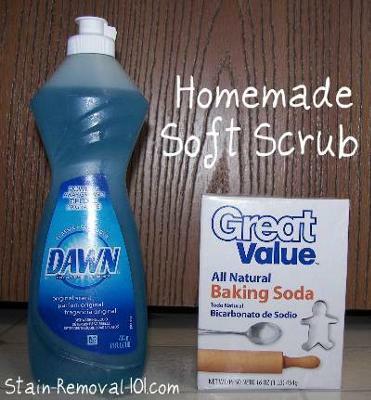 Thanks Stephanie for sharing your homemade all purpose cleaner recipe with me. Does anyone else have some green cleaning recipes to share? You can share your own homemade cleaners recipes here, or read lots that have have already been submitted. In addition, this recipe features hydrogen peroxide as its main ingredient. You can share your uses for hydrogen peroxide for around your home here, or you can read other uses which have already been submitted. 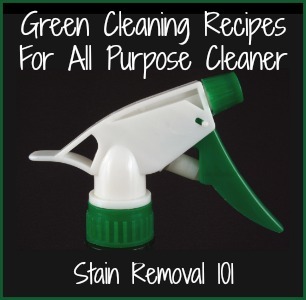 There are even more green cleaning recipes below for a variety of all purpose cleaners. Join in and write your own page! It's easy to do. How? Simply click here to return to homemade cleaners. Do you ever use a cream or paste cleaner in your home? I sometimes use Soft Scrub to clean things like my bathtub or counters when I need a mildly abrasive, but yet still gentle cleaner. Well, you can make your own paste for all purpose cleaning too, and it is surprisingly simple to make and quite effective. All you do is combine baking soda and dishwashing liquid (it is best to use one without bleach) to form a paste. I start with about 1/4 of a cup of baking soda, and then just add enough dishwashing liquid to make the paste a good thick consistency. You don't have to be exact with your measurements, just eyeball it. Then, just apply it to whatever surface you need to clean with a rag or cleaning cloth and gently rub it onto the surface. It will clean and with its gentle abrasiveness it will also get rid of stuck on food or dirt at the same time. Once you have thoroughly cleaned the surface just rinse with water and another rag and wipe dry. Please note that if you want to make this truly one of the most outstanding green cleaning recipes don't just use any dishwashing liquid, but instead make sure you use a natural and eco-friendly one, like castile soap. You can read about even more dish soap uses for cleaning and stain removal here, or share your own use. Thanks for the recipe. I just made this for the first time, using lemon scented dishwashing liquid and it smelled wonderful and cleaned well. I will definitely be adding this to my homemade cleaners arsenal. Below are three recipes for common non toxic cleaners you can make in your own home. These three recipes will clean lots of the areas of your home, and are quite inexpensive to make. These recipes include a window cleaner, homemade soft scrub, and all purpose cleaner. The only equipment needed is a couple of spray bottles, old rags, small bowl and a sponge. 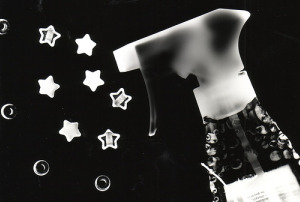 Mix half and half distilled white vinegar with water, into spray bottle, and spray on your windows and glass. Mix baking soda and liquid soap to form a paste, and use just like soft scrub. Hint, rinse away the residue thoroughly or your counters and other hard surfaces will feel gritty from the baking soda. Combine two cups water, small squirt of dishwashing liquid, and 2 tablespoons of baking soda into a spray bottle, and use this to clean hard surfaces. Helga shared this recipe that she uses for general cleaning around her home. In a spray bottle, for each cup of water, add 1 tablespoon borax and 1 tablespoon peppermint essential oil. 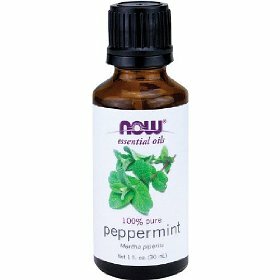 If you like it to be more heavy duty substitute pure Eucalyptus oil instead of peppermint. Then, it is good for cleaning the toilet and as a bathroom cleaner. Shake and use for kitchen benches, bathroom, dog bed, even walls etc., but not fine wood furniture. Thanks for sharing your recipe Helga. I will say, however, that if you're using pure essential oils it sounds like your recipe may add a bit much. I would most likely try a smaller ratio at first, and work up to more if I felt I needed it, instead of using a tablespoon per cup of water. That's because, as I explain in more detail in my article about how to clean using essential oils, a little goes a long way. I think a peppermint scented general cleaner would smell divine though, and would be especially fun to use during the holidays, so thanks for sharing this recipe with me! You can read more uses for borax here, or share your own. In addition, here are essential oil uses for cleaning and laundry that have already been shared by other readers, or you can share your own recipes which use these wonderful natural ingredients. Finally, if you've got any more all purpose natural cleaning recipes, I'd love to hear them, and add them to this page. You can share your recipes here. Fill a 24 fl oz. spray bottle with 2-3 tablespoons of laundry detergent, and 2-4 tablespoons of rubbing alcohol and the rest with warm water. Cleans all of kitchen and floors, also walls and bathtub. Happy cleaning!!! Hi Cindy, I'm not sure exactly what the problem is. One idea is that the baking soda is not properly dissolving enough, so you may want to try adding it to hot water, instead of cold to make it actually dissolve more readily. Also, I've found some spray bottles just stink, especially the cheap ones from dollar stores and places like that. You may want to try a higher quality bottle, which might also work. Good luck! Anyone else have suggestions for her? Hi Rut, I've personally never heard of such a cleaner but in a way it doesn't really surprise me that there is such a thing. Rhubarb has a high concentration of oxalic acid, which can be used for cleaning. If anyone has a recipe I'd love to hear it too! Does anyone have a recipe for homemade rhubarb all purpose cleaner? I was given some to try but no one knows the recipe. It was great. Thank You. I shake the bottle before using and it still clogs. What am I doing wrong? This is my all purpose cleaner. I just kinda eye it but in an empty windex bottle I fill 1/3 with rubbing alcohol, maybe a quarter cup vinegar and fill the rest of the way with water. I clean almost everything with this stuff! It sanitizes the kitchen and bathroom counters. Plus, it's amazing on stainless fixtures and mirrors.